Find quality name brand road, mountain bike, and touring bicycle brake pads, brake levers, and brake sets in Thailand. Sidepull, cantilever, and disc brake sets and parts. 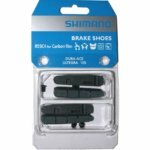 SHIMANO bicycle brakes. All of our products are professionally packaged and shipped to any address in Thailand.